Sadly, it is sometimes unavoidable to ride in the rain. In my experience, the rain actually waits for me to get as far from home as possible before starting. 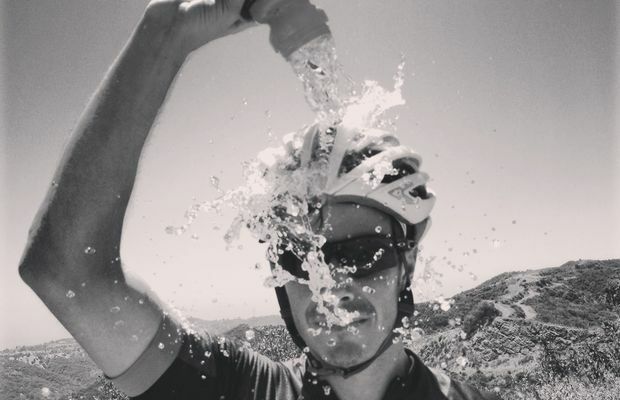 So, when you do get caught in the wet weather, how do you protect your bicycle from the damages of water? Read on for a few helpful bike maintenance tips. The First Step In Bike Maintenance Tips Is Get It Clean! The first step after a riding in the rain is to get your bike clean. Road grime, mud, and other muck that has accumulated on your bike will hold moisture and encourage corrosion. A bucket of warm soapy water and a sponge is the best way to clean out that crud. Try to resist the urge to point a hose at the bike because pressured water gets into bearings promoting wear. Once your bike is clean, use an old towel to get it dry. Rubber parts like tires and grips don’t need a lot of attention, rather focus on all the metal parts. Really try to address the steel hardware and make sure its dry to the touch before you’re done. Unless you have disc brakes, riding in the rain takes a toll on both the rims and brake pads. All the road grime that attaches itself to the rim works like sandpaper, wearing both the rim and the brake pads when you stop. 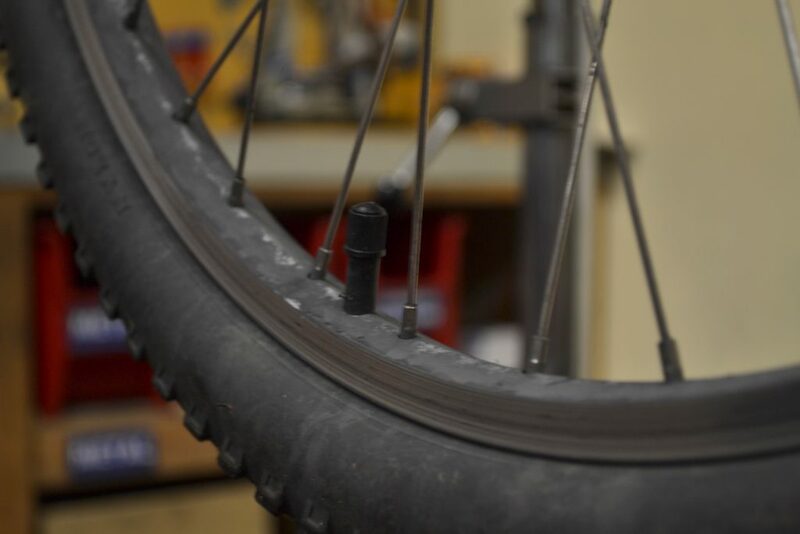 Therefore, after riding in wet weather you will want to focus on getting all that abrasive grime off the rims and pads. If the dirt is left in place, your brakes can start making noise, be less efficient, and wear out quicker. Water and motion will do a good job of scouring all the lubricant off your chain. Additionally, the same road grime that wears rims and brake pads will wear your chain. Additionally, that wear leaves your chain particularly susceptible to rust. To lube your chain, start by propping the bike up so you can rotate the cranks backward freely. Next, Backpedal the bike, while dripping lubricant onto each chain link. Once the chain is well saturated, give a few moments for the lubricant to penetrate the chain. Finally, wrap a rag around the chain, backpedal, and remove all the excess lubricant. Done! Like the chain, cables will lose lubricant and wear quicker in the rain. To keep your bike shifting and braking well, drip a small amount of lubricant onto the cables where they enter the housing. Once capillary action carries a few drops of lubricant into the housing, shift through your gears a few times and squeeze the brakes repeatedly to help the lubricant find it’s way. 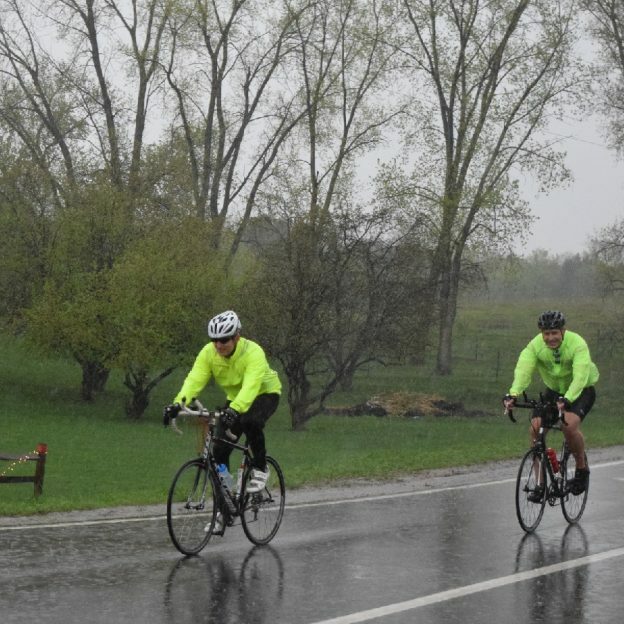 A bicycle may appear to be sealed from the elements, but it is, in fact, able to take on water when you ride in the rain. The water that collects inside your bicycles frame can destroy bearings, rust a frame from the inside, or freeze in the winter and burst frame tubes. To drain a frame, pull the seat and seat post out of the bike, and turn the bike upside down. Leave the bike for a few hours to drain and then replace the seat and post. Overall, when servicing your bike after you ride in the rain be aware of the corrosion and wear rain can cause. Focus on getting the bike clean and re-lubricated, ready for your next ride. 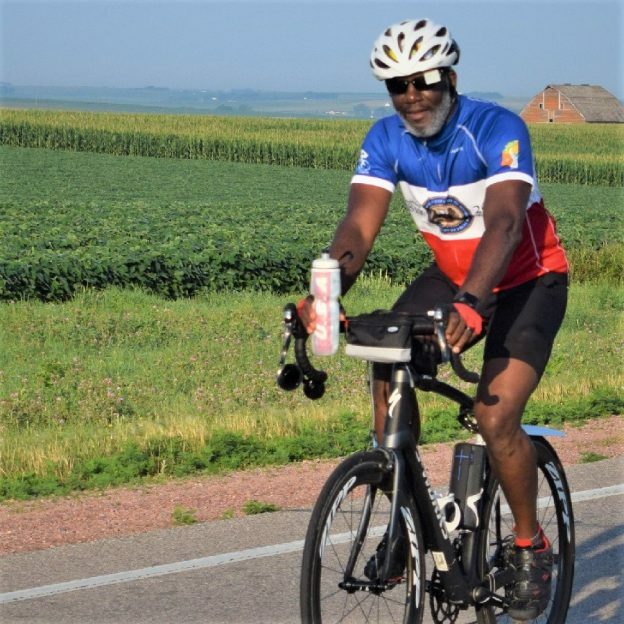 This entry was posted in News, riding tips and tagged #nextbikeadventure, bike clean, Bike cleaning, clean bike, hybrid, Minnesota Bike Guide, mountain bike, mountain bike ride, mountain biking fun, rain bike, ride in the rain, road bike, road ride, wet ride on September 28, 2018 by John Brown. Bike Pic May 08, who says you need a special bike for off-road fun? 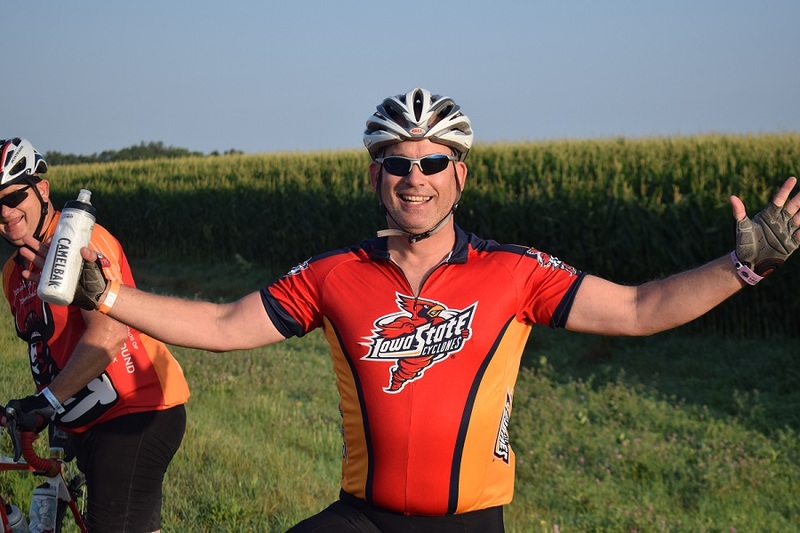 Last year at this time, we caught this biker dude out on the trail with his road bike. With skinny tires and a frame that did a lot of flexing he did pretty good testing his skills in Lebanon Hills Park, in Eagan, MN. 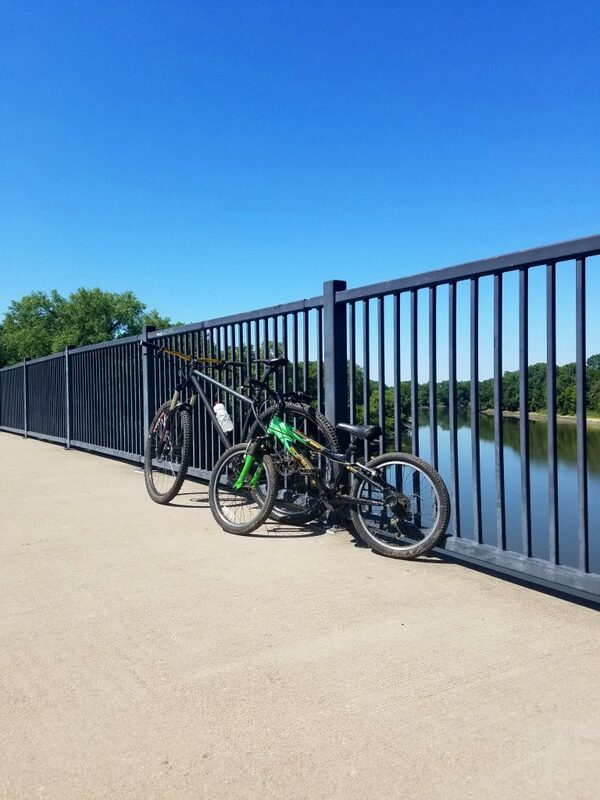 This entry was posted in Picture of the Day and tagged #bicycle, #mountainbiking, #mtb, #nextbikeadventure, Bike Guide Minnesota, Bike Guide MN, IMBA, Lebanon Hills Park, MORC, Mountain Biking, mountain biking fun, Riding MN Trails, spring mountain bikin on May 8, 2018 by Russ Lowthian. 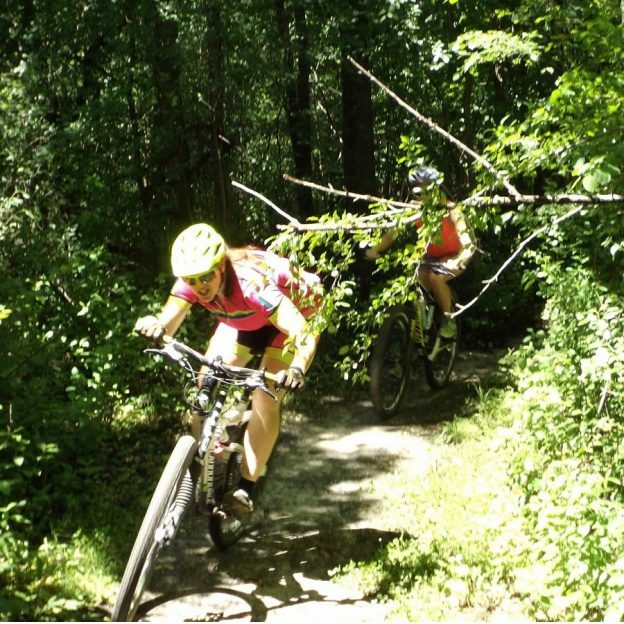 With the trees budding and trails soon opening its time to get ready for some spring fun! In a normal year, here is what the trail should look like. 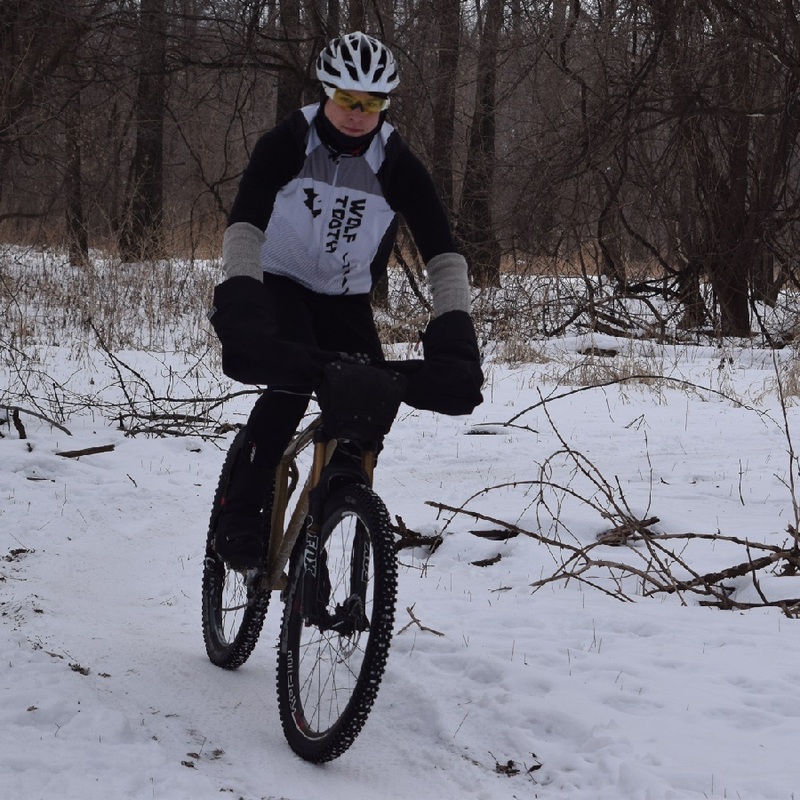 Last year at this time, we caught this biker chick enjoying some time testing her riding skills in Lebanon Hills Park, in Eagan, MN. 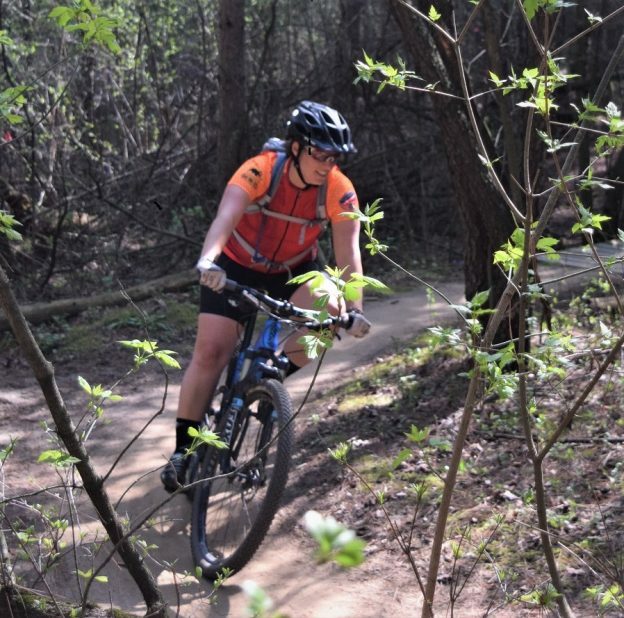 This entry was posted in Picture of the Day and tagged Bike Guide Minnesota, Bike Guide MN, biker chick, family fun, family mountain bike memories, IMBA, Lebanon Hills Park, MORC, Mountain Biking, mountain biking fun, Riding MN Trails, spring mountain biking on May 5, 2018 by Russ Lowthian. 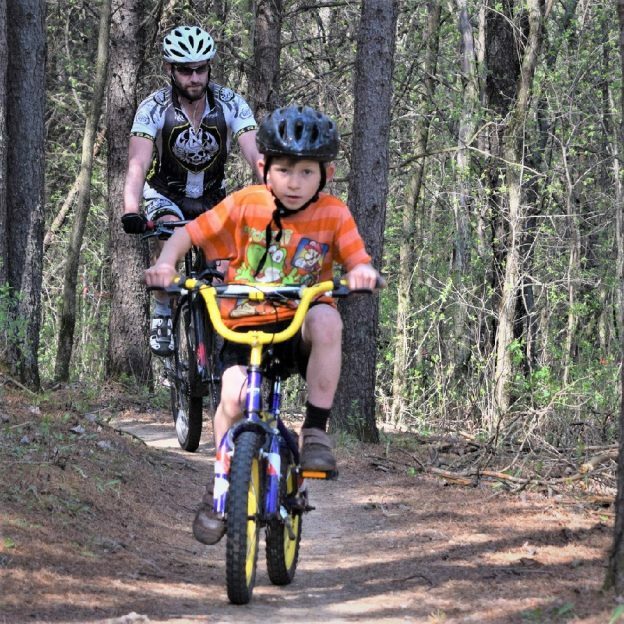 With the trees budding and trails soon opening get the family ready for some spring fun! In a normal year, here is what the trail should look like in the upper Midwest. 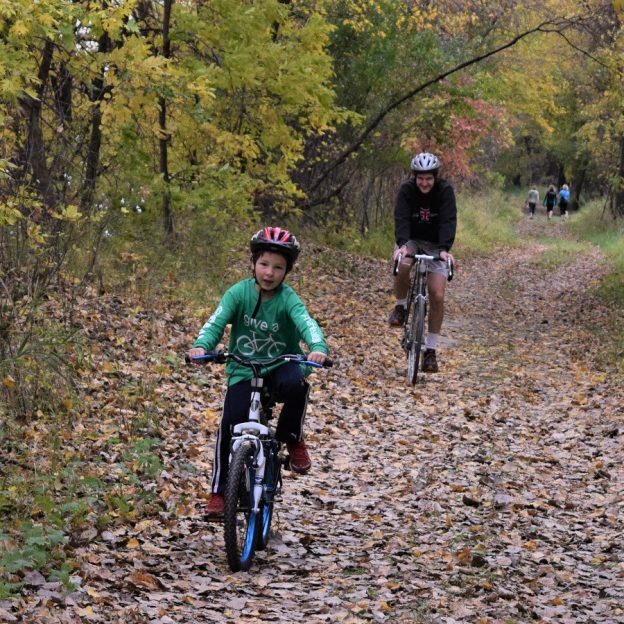 Last year at this time, we caught this biker family enjoying some time testing their riding skills in Lebanon Hills Park in Eagan, MN. 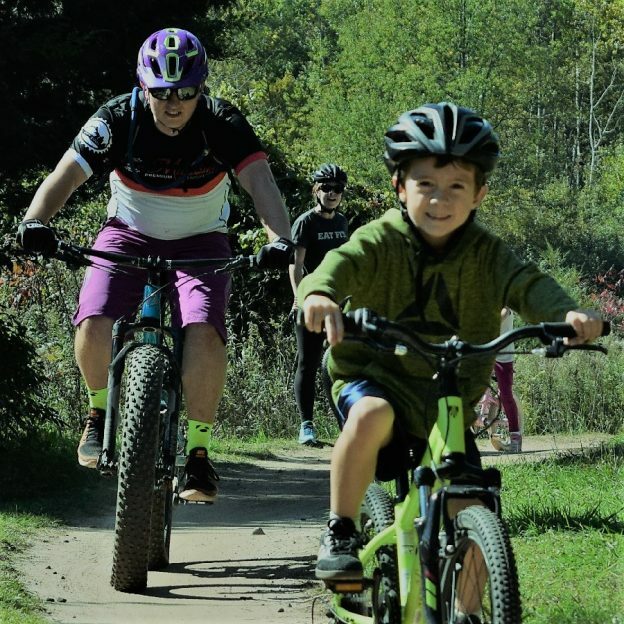 This entry was posted in Picture of the Day and tagged Bike Guide Minnesota, Bike Guide MN, family fun, family mountain bike memories, IMBA, Lebanon Hills Park, MORC, Mountain Biking, mountain biking fun, Riding MN Trails, spring mountain biking on May 3, 2018 by Russ Lowthian. Fond spring bike pic memories on #10 of 30 Day of Biking in April. 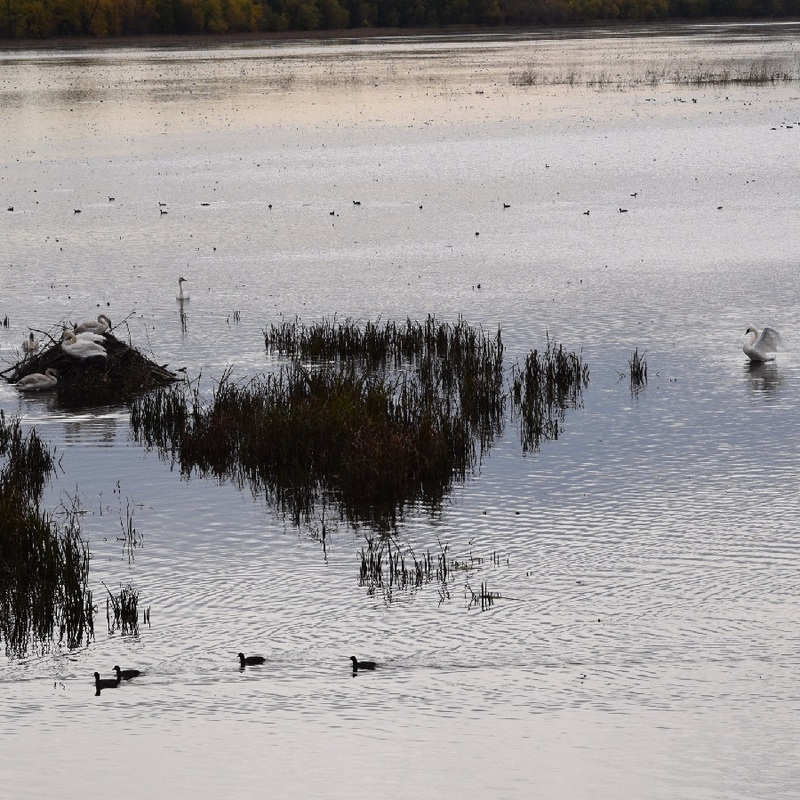 In this photo, here is what the trail should look like here in the upper Midwest. 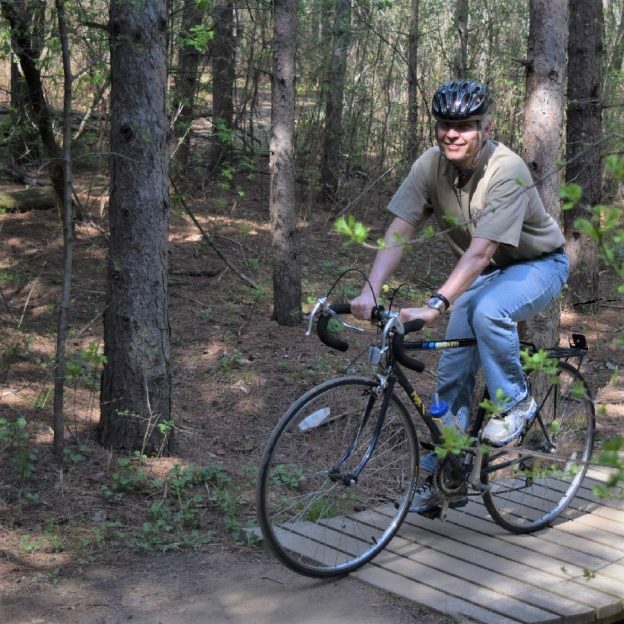 We caught this biker dude enjoying some time testing his riding skills in Lebanon Hills Park, in Eagan, last year at this time. This entry was posted in Picture of the Day and tagged #bicycle, #mountainbiking, #mtb, #nextbikeadventure, Bike Guide Minnesota, Bike Guide MN, IMBA, Lebanon Hills Park, MORC, Mountain Biking, mountain biking fun, Riding MN Trails, spring mountain biking on April 10, 2018 by Russ Lowthian. Fond early summer memories riding the mountain bike trail. Here in today pic we caught this father/son duo enjoying some time together while testing their riding skills in Lebanon Hills Park in Eagan, MN. 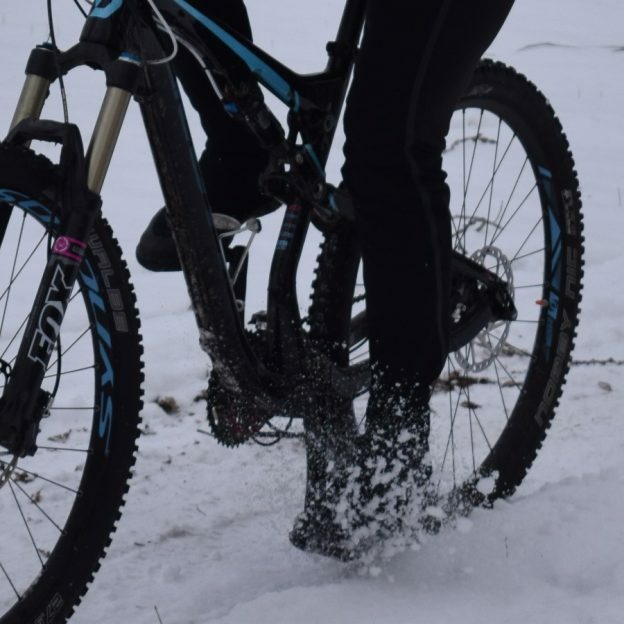 This entry was posted in Picture of the Day and tagged #bicycle, #mountainbiking, #mtb, #nextbikeadventure, Bike Guide Minnesota, Bike Guide MN, IMBA, Lebanon Hills Park, MORC, Mountain Biking, mountain biking fun, Riding MN Trails, spring mountain biking on April 3, 2018 by Russ Lowthian. 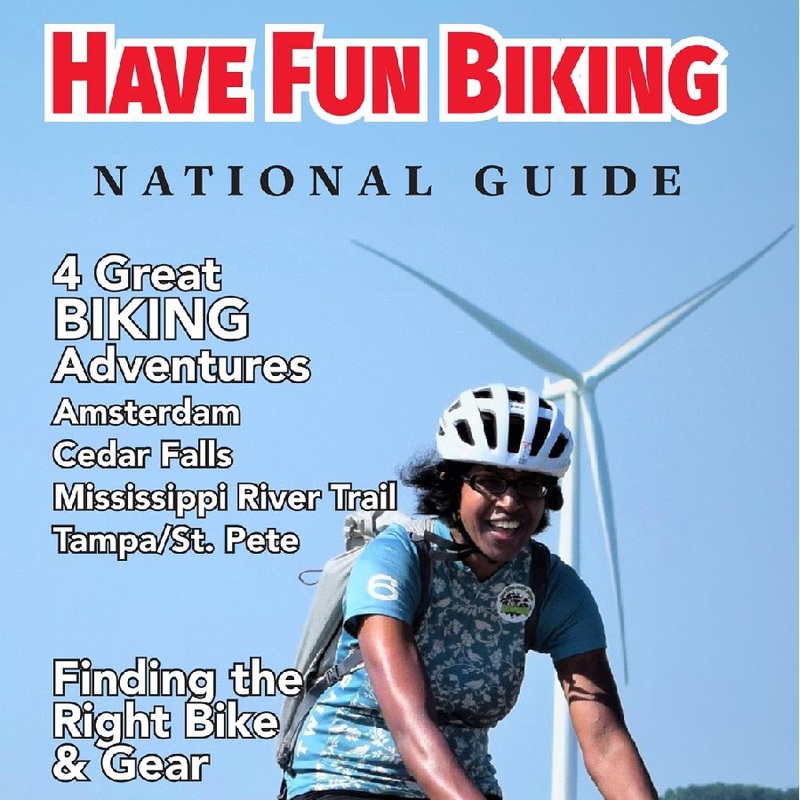 Get into Mountain Biking with these few tips! Starting a new sport like Mountain Biking is a ton of fun. The experience of exploring local trails and challenging obstacles is exhilarating. Here are a few tips to get you riding faster and smoother. Want to make your bike turn? Simple, just turn the handlebars, right?! Well….not exactly. Contrary to popular belief you don’t really steer with the handlebars when mountain biking as much as you think. 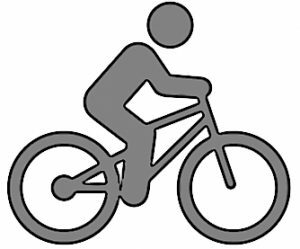 Your bike turns when you shift your center of gravity (hips). If you want proof, try this basic test next time you’re on your bike. Ride along a piece of smooth flat ground and push gently on your right grip. Pushing on the right grip will turn the front wheel to the left, and theoretically, the bike will turn left. What will actually happen is that your bike will jerk to the right. How can this be? Well, when you push on the right grip, your center of gravity shifts to the right, and your bike follows. So next time you ride, try and keep your hips centered over the bike for stability, and when turning, shift them in the direction you want to go. Mountain biking successfully is all about traction. As the trail changes material, density, and direction, you are in the constant pursuit of traction. Losing traction in a turn is dangerous but mostly avoidable. To maximize the traction you do have, First, turn your hips into the turn like stated above, then also lower your outside foot and turn both knees into the turn. By doing this, you are lowering your center of gravity (giving you more stability) and adding force to the area of your tire that is doing the gripping. Testing this one is easy and FUN! Pick a corner you can comfortably take with some speed ride through it with you feet level and hips on the pushed to the outside of the turn. Then take the same turn with your outside foot down, and hips and knees pointed to the inside of the turn (on your outside leg, the inner surface of your hip may rest on the top tube. That’s OK). 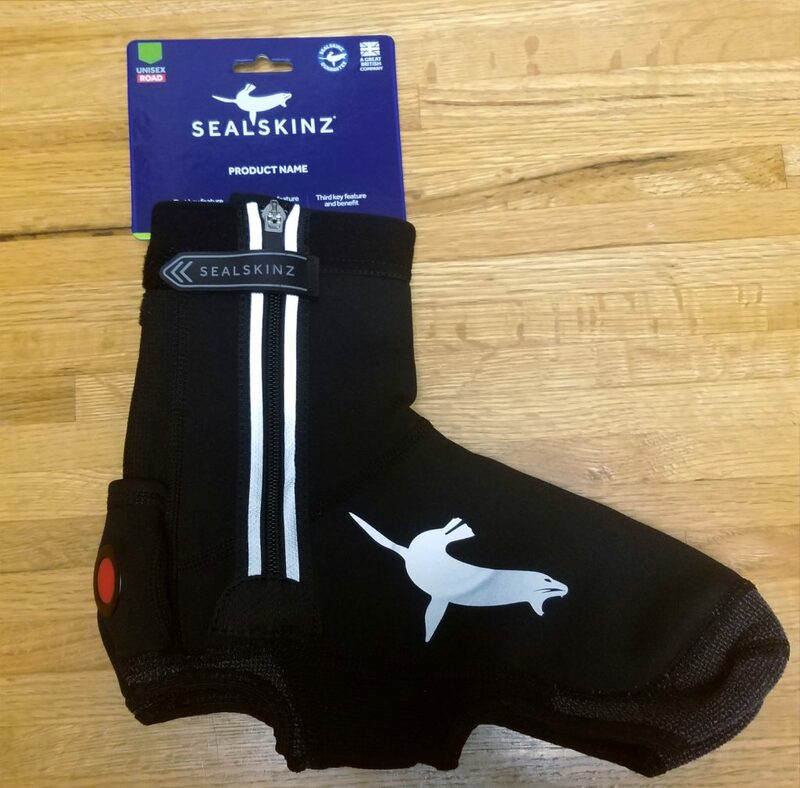 you should feel the difference in traction immediately. 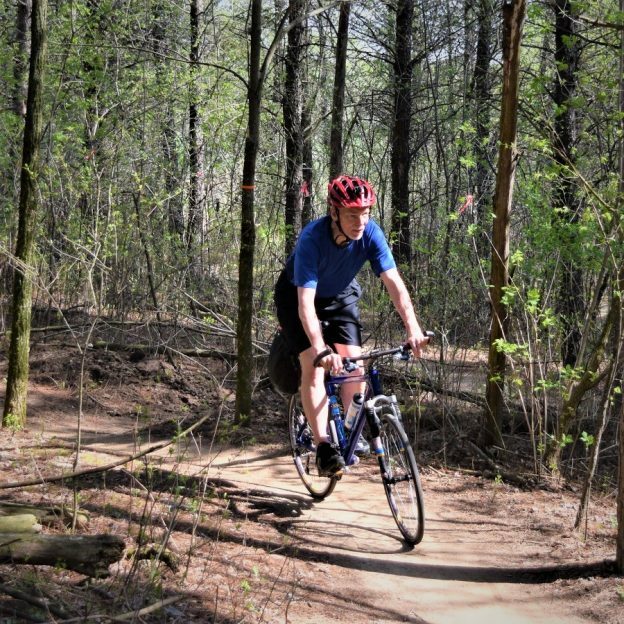 Most mountain bikes are equipped with suspension to absorb impact and maintain stability. That suspension can handle rocks, logs or bumps smaller than your fist. While suspension does a great job of taking the edge off, most trails consist of larger objects. Your legs and arms can be your suspension once things get rougher. Keep a good bend to your elbows and knees, get off your saddle, and be the shock. You will find that with some motion on your part, your bike can start handling objects taller than a water bottle with ease. Sounds simple, but it’s the truth. Speed naturally helps with stability. As wheels get up to speed, they naturally want to stay upright. You will also find that the faster you go the trail will feel smother. This is from the bikes tires skipping over the tops of objects, rather than dipping into every valley between them. Once at speed, try to keep your bars facing the direction you want to go and your hips centered. 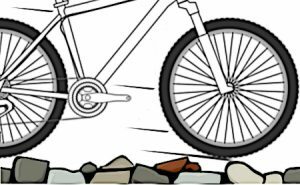 If the front wheel is always facing the direction of movement, its’s easier to maintain speed and stability. Speed does have its consequences as well. Always ride within your abilities. When you go mountain biking with others, there can be pressure to ride everything others ride. If a trail is filled with obstacles above your skill level, walk it. You may also want to attempt the first part only. Once you master that first obstacle, try the second, and so on. Breaking challenging trail sections into smaller parts, mastering each separately, then trying to connect everything is a great way to build confidence and stay safe. 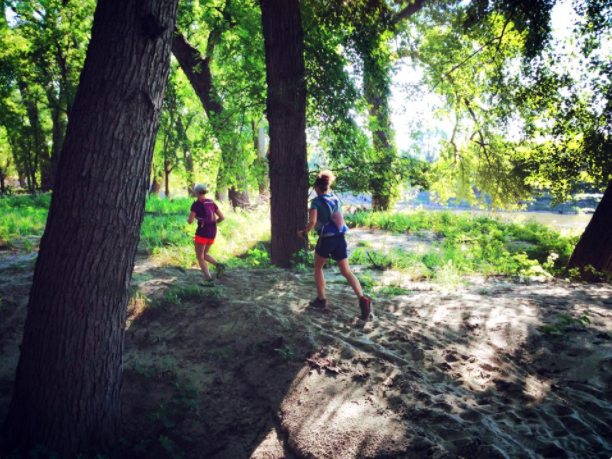 By using these tips you should feel comfortable in time, exploring all the trails you area has to offer. Remember to start small and progress as you feel comfortable and follow the rules of the trail. 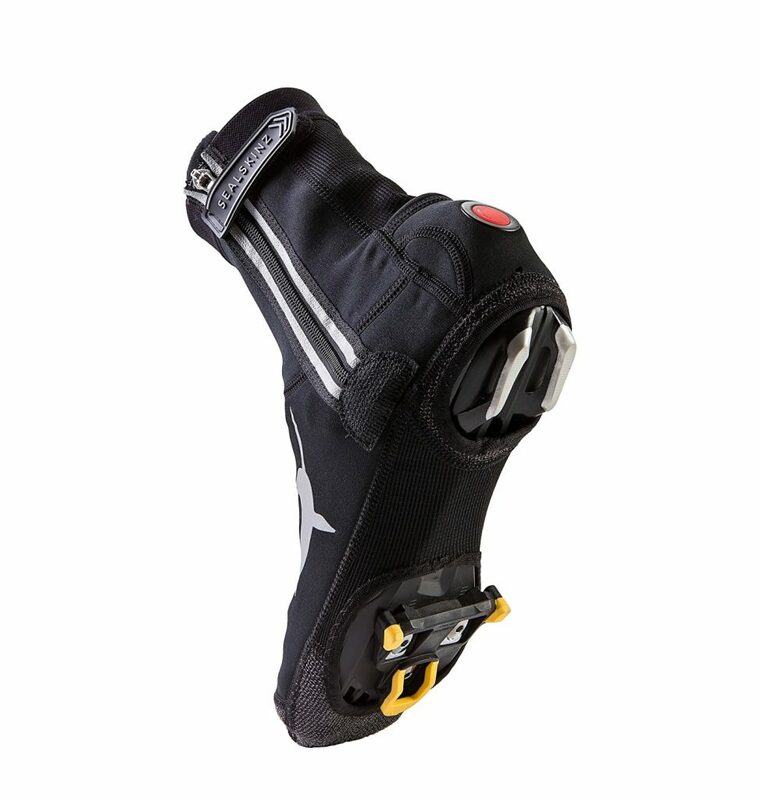 If you liked this information, check out our riding hacks for road bikes as well. 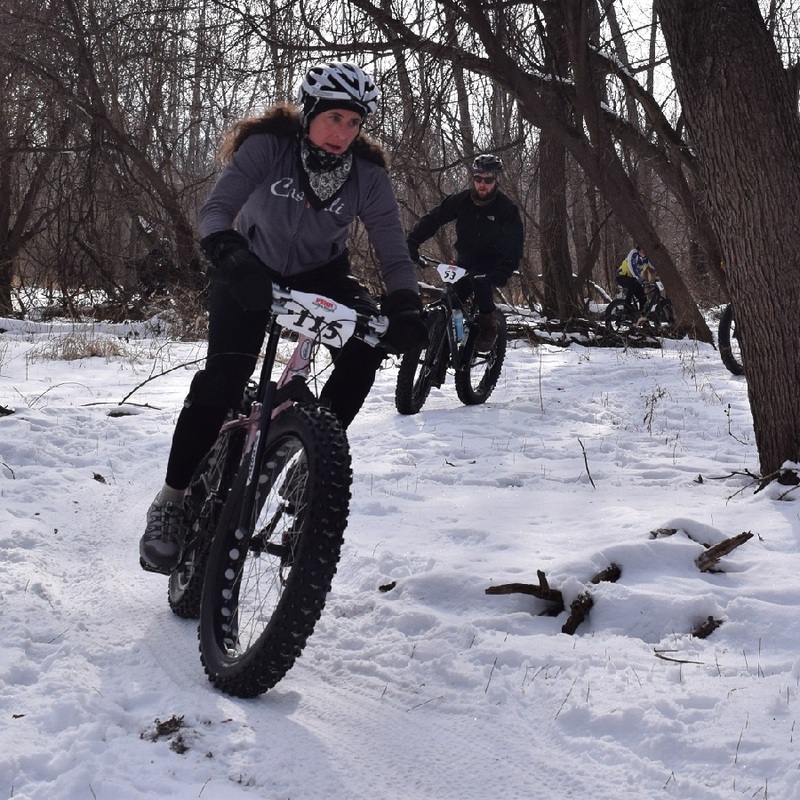 This entry was posted in News and tagged #bicycle, #mountainbiking, #mtb, #nextbikeadventure, Bike Guide Minnesota, Bike Guide MN, IMBA, MORC, Mountain Biking, mountain biking fun, Riding MN Trails on March 30, 2018 by John Brown.